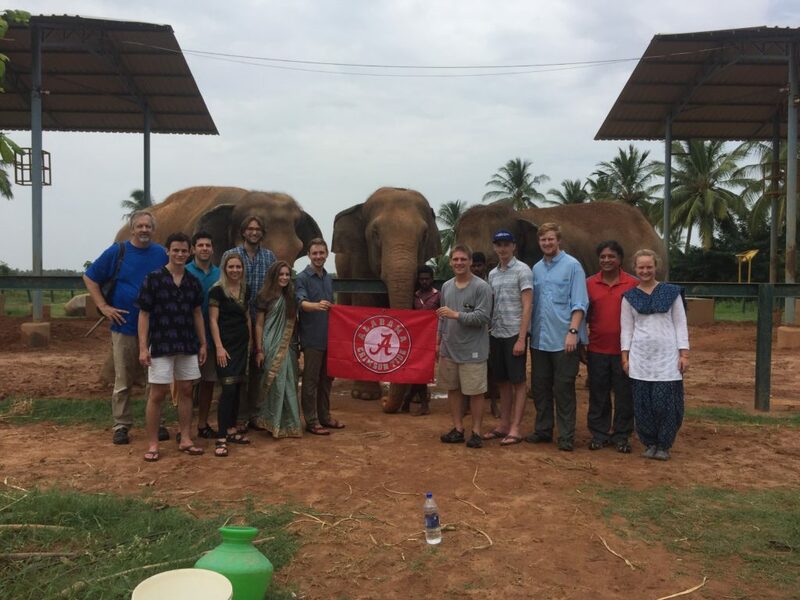 “My photo came at the end of our three-week study abroad experience in India. We began in Delhi (northern India), and then we slowly migrated to southern India to compare and contrast the differences between the two geographic regions. This particular picture was taken just outside Mahabalipuram in a small town called Tamil Nadu… This preserve, Elefriends 101, exists to provide a loving, safe and secure environment for the well-being of elephants where they are free to roam, socialize, bathe, and feed without undue human interference. Growing up, I was fortunate to experience many places around the globe. Tanzania, Africa; Rome, Italy; and Havana, Cuba to name a few. However, India had never crossed my mind as a place that I wanted to visit. As a math major, I couldn’t find many opportunities to study abroad while still getting credit for a class that I would need to graduate. Upon my acceptance into the STEM Path to the MBA, I kept hearing about this innovation trip in India that STEM sponsored. It immediately caught my attention, and I knew that I wanted to partake in it. Not only would I be going somewhere that I had never been, but I also would be getting credit for a class that I would otherwise be taking online. The experiences I had while abroad will stay with me throughout my life. From talking to the nomadic farmer about the difficulties of tigers preying on his herd to talking with the family living in the slums about the issues of sanitation, the people and their stories made a huge impact on the way I think and view the larger community around me. India is truly unlike anywhere else on this planet.